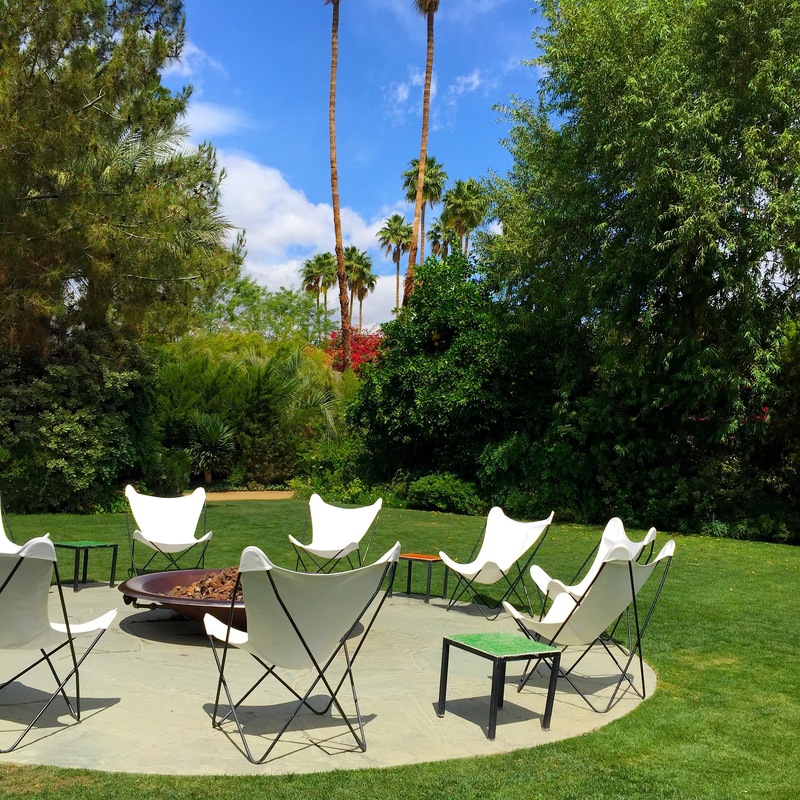 There is something simply magical about The Parker Palm Springs. It may be the winding labyrinth of overgrown pathways dotted with nothing but bright flowers and their intoxicating aroma. It may be the hidden hideaways around every corner where you feel like you can tuck away from the desert sun and no one will ever find you. It may be the Bloody Mary at Norma’s. Do not scoff at the daily resort fee. Unlike at most luxury hotels, this one is actually worth every single penny…but only if you know how to make the most of it. First, valet parking is included, with in and out privileges, which is a nice touch. Second, it gives you access to the award-winning spa, PSYC (or Palm Springs Yacht Club), whether or not you book a treatment. You can go and steam, sauna, swim in the indoor pool and r-e-l-a-x like a true local any time of day, any day of the week, all included in your resort fee. Third and fourth: when you check in at the spa, be sure to ask for the complimentary vodka shot that they have on-hand to get you in spa mode and do not leave without a visit to the relaxation room (it’s kind of hidden behind a set of tall, thick navy curtains with no sign or anything) which is a stunning sanctuary of peace and tranquility…Parker style. We popped in in the late afternoon and didn’t leave for three hours, almost missing our dinner plans altogether…it was that lovely. And the common pool area is co-ed so you and your man can chill out together. Outside of the spa, bring your appetite to the pool but don’t feel limited by the less-than-exciting menu. If you loved something at Norma’s, you can ask to order from there even when you are poolside and they will make it happen…just give them an extra nice smile. Oh and if you’re hitting the adult pool (which I recommend…we have made one visit to the hotel with kids and it was definitely not as fun; no offense to my kids) and a pool “scene” is not your thing, see if the seats in the “secret garden” – or at least that’s what we called it – are available. It’s a small enclave of tucked away loungers that are nestled behind one of those wild labyrinth hedges and we hid from the poolside hipsters there for hours with our own dedicated waiter and some welcome shade from the blazing sun. The pool hostess said they are rarely used so snag them if you can. Next is possibly my favorite tip of all (ok, the vodka shot might be my favorite)…pretend it’s the 90s and request a wake-up call. Because it comes with a complimentary pot of coffee (small or large – usually up to $14 on the room service menu) delivered to your guest room with the morning paper and a soft, subtle knock on the door (it’s followed by the blaring phone two minutes later, but by then you have a full pot of fresh, Intelligentsia coffee so you don’t mind as much). Finally, sign up to be a Starwood member, if you aren’t already. Members get first pick at late check-outs, which means you can lounge by that pool and pop by the spa for one more steam (and a nip of vodka) until a whopping 4pm. This sounds like heaven, especially the vodka shot and morning coffee. Wow, these are really great insider tips and definitely make the price tag a lot more reasonable.